Weds Oct 15th at 5:30pm est Want to Burn Fat, Increase Your Metabolism and Loose Weight? Join Quinn Lemley host of The Creative Process from Acorn to Oak Tree as she talks with master trainer Iona Passek about metabolic training. We will learn how to Burn Fat, Increase Your Metabolism and Loose Weight thru metabolic training. October 15, 2008. Tags: burn fat, metabolic training, weight loss. creative process, creativity, education, empowerment, inspiration, marketing, passion, radio, self help, success. Leave a comment. You won’t want to miss this great interview with Tribute Artist Richard Skipper, pictured here with legend Carol Channing! Richard channels the legend Carol Channing! Have you ever wanted to be a tribute artist? Tune in to The Creative Process this Weds night! RICHARD SKIPPER is a two-time winner of the MAC (MANHATTAN ASSOCIATION OF CABARET AND CLUBS) Award, a winner of the Back Stage Bistro Award for Outstanding Achievement in Impersonation, a nominee of an IRNE (Independent Reviewers of New England), and the 2006 recipient of THE IGCITA (INTERNATIONAL GUILD OF CELEBRITY AND TRIBUTE ARTISTS) CLONY AWARD for OUTSTANDING TRIBUTE TO A LEGEND in Las Vegas. In addition to serving on the board of MAC (MANHATTAN ASSOCIATION OF CABARETS AND CLUBS) he has also served on the boards of TRU (Theatre Resources Unlimited), IGCITA (The International Guild For Celebrity and Tribute Artists), and THE TIMES SQUARE GROUP (bringing the arts to inner city kids/schools).Skipper has taken his tribute to Carol Channing around the world and from coast to coast. You won’t want to miss this dynamic entertainer! October 7, 2008. Tags: Carol Channing, diamonds are a girls best friend, Richard Skipper. creative process, creativity, education, empowerment, inspiration, marketing, passion, radio, self help, success. Leave a comment. September 24, 2008. Tags: architecture, decorating, design, home improvement, interior design. creative process, creativity, education, empowerment, inspiration, marketing, passion, radio, self help, success. Leave a comment. How would you like to better clarify your life’s direction so you can move forward? is to connect people and companies to their power. He applies his infectious spirit and multi-dimensional design background, to empower people to have greater impact in their professional and personal lives. 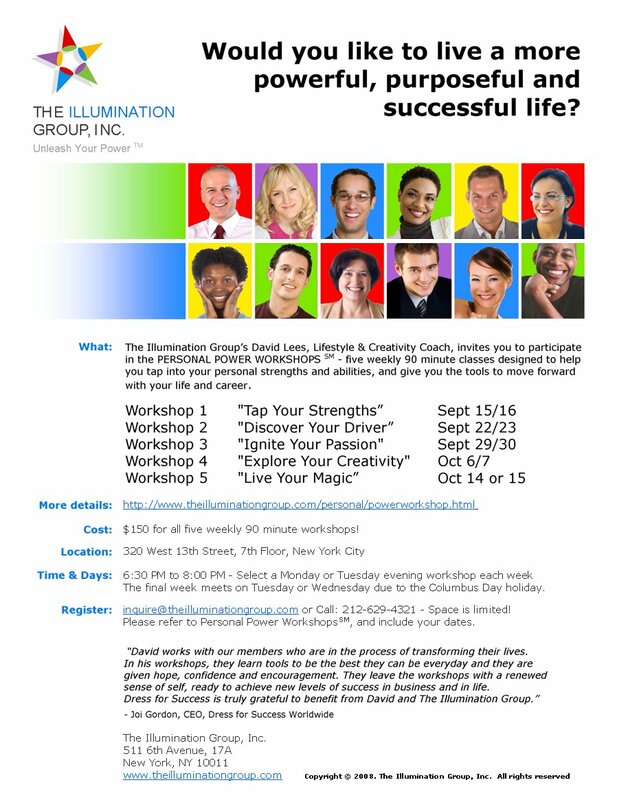 David Lees, Lifestyle & Creativity Coach known for his “Personal Power Workshops,” to help you tap into your personal strengths and abilities, and give you the tools to move forward with your life and career. David will give you keys to the following subjects! CALL IN TONIGHT BETWEEN 6-6:30 pm est to talk to David! September 17, 2008. creative process, creativity, education, empowerment, inspiration, marketing, passion, radio, self help, success. Leave a comment. What does it take to be a stand up comic in New York City? As a woman none the less! Join us as we talk about the world of comedy with stand up comics Laura Spaeth and Cathy Boruch. They will share how they write their material, the comedy club scene in the Apple, what it takes to be funny! Laura Spaeth of The Broadway Comedy Club in New York City. You can see them live at Poole Party Saturday nights in NYC at Don’t Tell Mama. September 10, 2008. Tags: comedy, female comic. creative process, creativity, education, empowerment, inspiration, marketing, passion, radio, self help, success. Leave a comment. Sue Matsuki recently won the MAC Award for her latest song, She has performed at the Met Opera, regional theatresand leading clubs around the country. 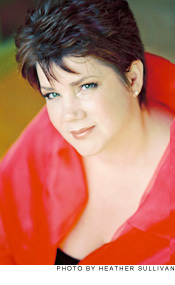 She has numerous cd’s available and has won numerous awards, including: A New Take voted 2007 Top 10 CDs of All Time by Stu Hamstra, CabaretHotlineOnline.com. Tune in to hear Sue’s latest recording and to talk about how one of my favorite diva shares her talents and creates music! August 19, 2008. Tags: cabaret, jazz, MAC awards, music, singer, songwriter, vocalist. creative process, creativity, education, empowerment, inspiration, marketing, passion, radio, success, Uncategorized. Leave a comment. August 5, 2008. Tags: fabulousness, happiness, rich, wealth. creative process, creativity, education, empowerment, inspiration, marketing, passion, radio, self help, success. Leave a comment. Weds July 30th Top Numerologist Joni Hanson Call in for a free Reading at 646.716.7074! Join Quinn with top numerologist Joni Hanson for an exciting hour of Numerology. Joni will talk about the power of numbers and how we each have our own personal numbers that shape our lives and influence where we currently are. Call in for a free reading about how your personal numbers affect your life! Numerology is the study of numbers, and the occult manner in which they reflect certain aptitudes and character tendencies, as an integral part of the cosmic plan. Each letter has a numeric value that provides a related cosmic vibration. The sum of the numbers in your birth date and the sum of value derived from the letters in the name provide an interrelation of vibrations. These numbers show a great deal about character, purpose in life, what motivates, and where talents may lie. July 29, 2008. Tags: numerology. creative process, creativity, education, empowerment, inspiration, marketing, passion, radio, self help, success. Leave a comment. 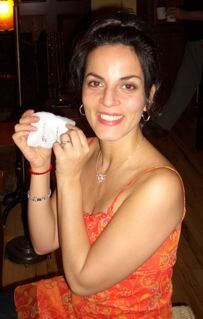 Monica Diaz began her career in the style and fashion industry after obtaining her degree in Textile Technology and Marketing from New York’s Fashion Institute of Technology. Her knowledge of the garment industry combined with a keen eye for juxtaposing color texture and pattern earned her status as textile stylist for menswear and womenswear fabric collections. Her creations were employed by noted fashion houses including Ralph Lauren, Hart, Schaffner & Marx, Oscar de la Renta, Carolina Herrera, J. Crew, Banana Republic and Jones NY, to name a few. She later worked as the boutique specialist for Marc Jacobs at Bergdorf Goodman, as well as designed and merchandised menswear for Oxford Industries. In addition to creating Style Matters, Inc. she currently teaches fashion-related courses at the Katherine Gibbs School. Style Matters, Inc. is a culmination of her experience, business acumen and her love of personal style. “Fashion is the art of self expression. 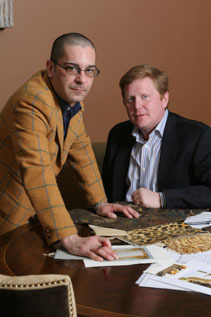 I founded Style Matters, Inc. to bring this art form to individuals”. July 10, 2008. Tags: Add new tag, fashion, monica diaz, style, style matters. creative process, creativity, education, empowerment, inspiration, marketing, passion, radio, self help, success. Leave a comment. July 8, 2008. Tags: Add new tag, Dorothy Bishop. creative process, creativity, education, empowerment, inspiration, marketing, passion, radio, self help, success. Leave a comment.